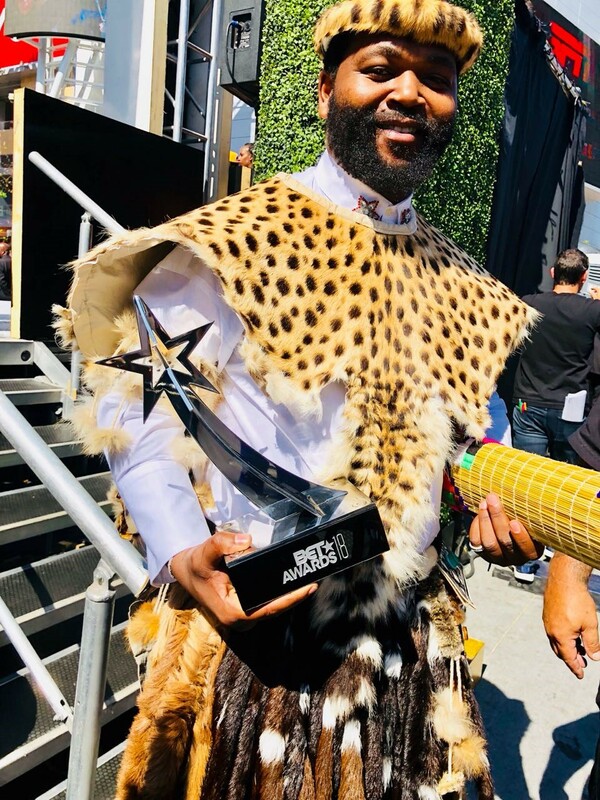 Musician Sjava walked away victorious at the highly BET Awards on Sunday night when he got the award for Viewers’ Choice Best International Act category. Sjava was nominated alongside Distruction Boyz‚ Congo’s Ipupa and Nigerian superstars Davido and Tiwa Savage. However it was his was acceptance speech that got everyone talking while dressed in traditional wear. Remember that this is marked as one of the biggest and most honorable accolades ,not only for himself but for Africa as a whole. Not only did Sjava earn his first BET Award but he has been labelled as the first south African hip hop/pop artist to bring home this much celebrated statue.